You will just need a few scraps of fabric. A quarter of a yard is more than enough. 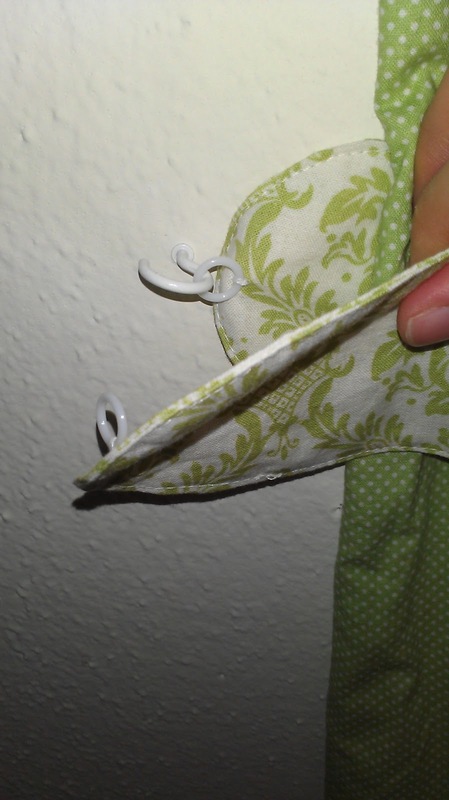 You will also need some curtain rings, which can be purchased at any fabric store. They come in different sizes; I bought the half-inch ones. 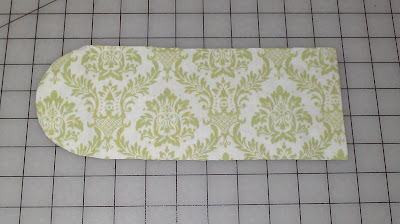 First, cut 4 rectangles 21" by 4". 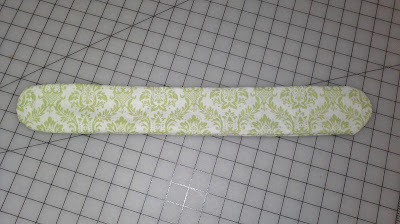 This will give you a finished measurement of 20" by 3". 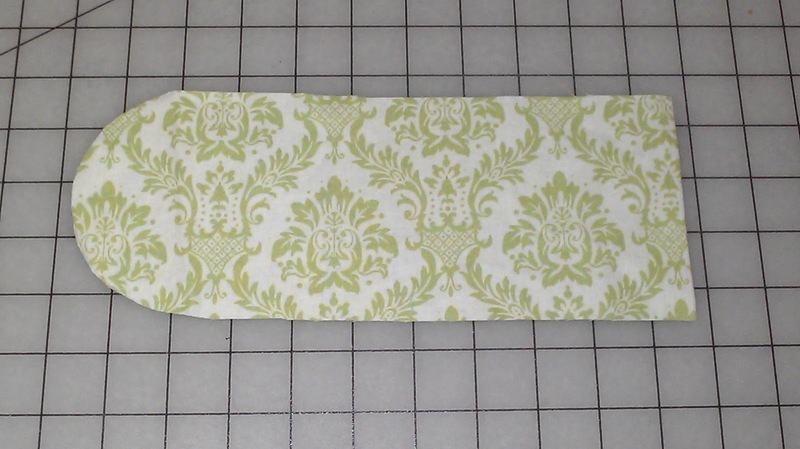 Fold each rectangle in half and round off the corners of the raw edges--make sure not to do this to your folded edge! Open up the fabric. Right sides together, pin two of the pieces together all the way around. 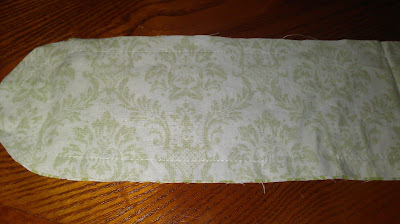 Sew around the edges with a 1/2" seam allowance. 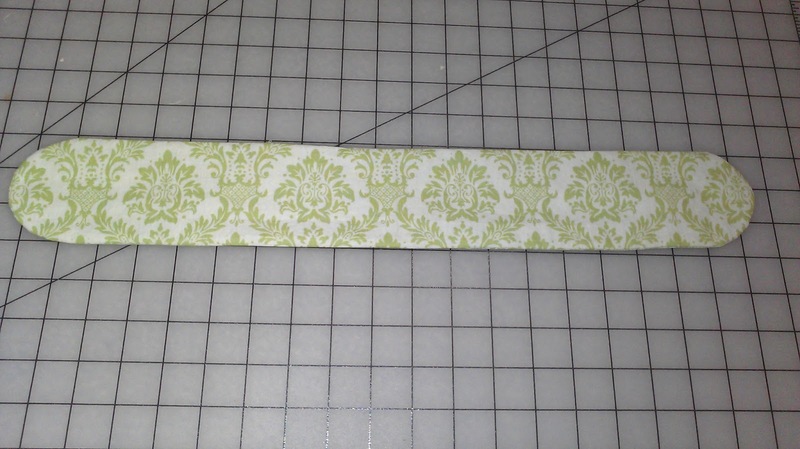 Leave a small space (about 1 1/2"-2") open. 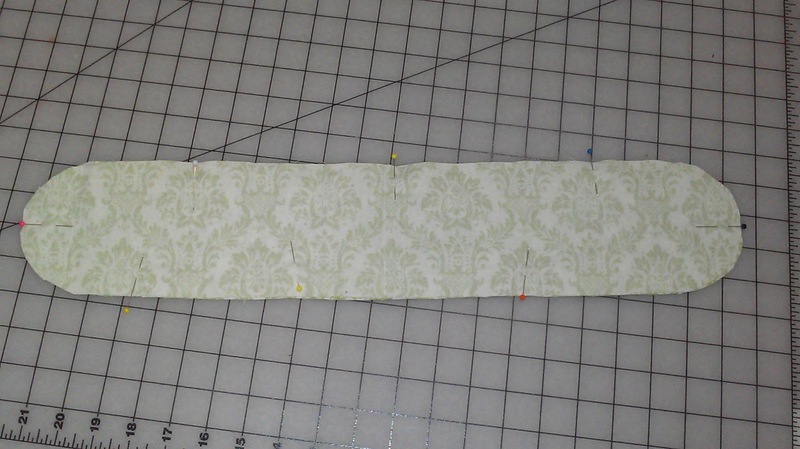 Trim around the edges so that you have a thin 1/4" or so seam allowance. 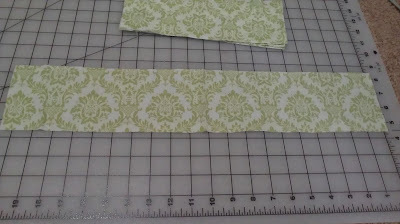 Cut little V-shaped snips around the curves. 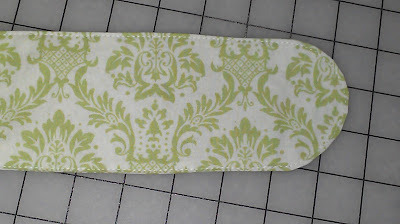 You want the point of the V to be just at the stitching line--but take care not to cut through it! 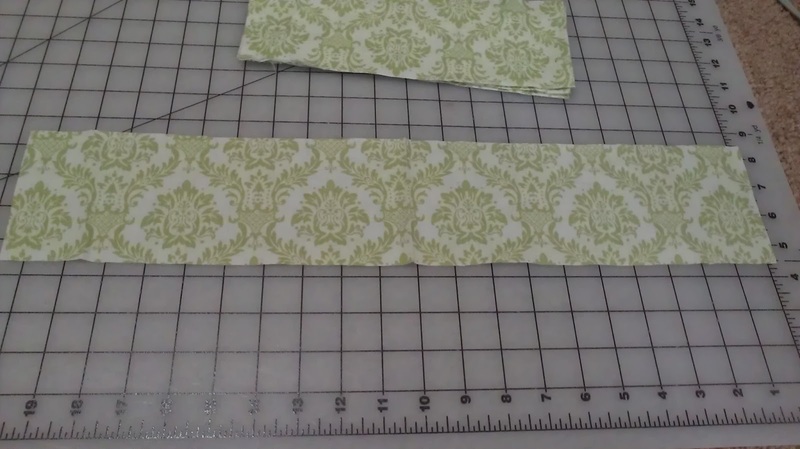 These clips will help the curve lay smoothly when you turn the tie-back right-side out. 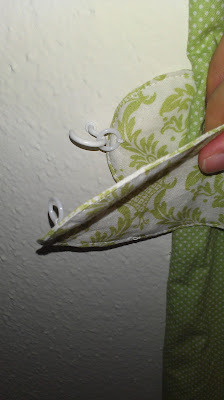 Using that small opening you left in the stitching line, turn the tie-back right-side out. 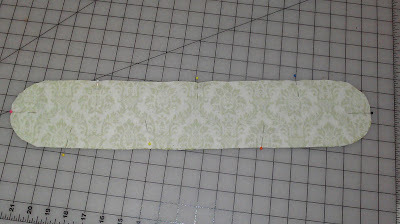 You may have to use a long, blunt object, like the back end of a knitting needle, to reach in and turn those curves all the way. 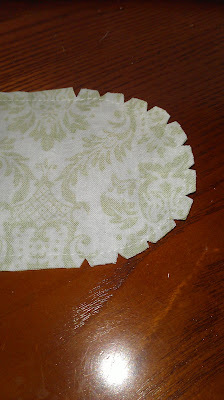 After turning, give the whole thing a quick press with the iron to help it lay nice and flat. Topstitch as close to the edge as possible. 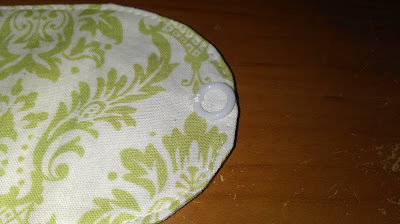 This will also close the hole you left in the seam, so you don't have to stitch it closed by hand. Yay for less hand-sewing! 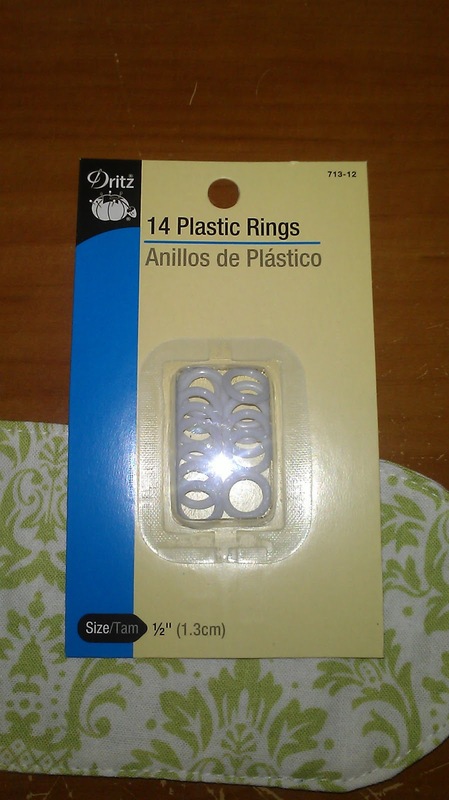 Now take one of the plastic rings and lay it on the end of the tie-back. Line it up so the edge of the ring comes just to the edge of the tie-back, but not past it. We don't want it peeking out once it's in use! Stitch over it by hand just at one spot, as shown. 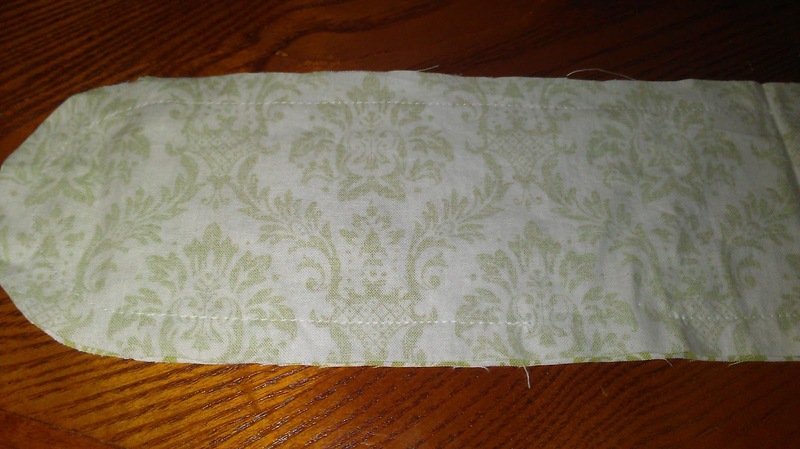 Be careful to only catch one layer of fabric as you sew so that you don't see the stitching on the right side of the tie-back. 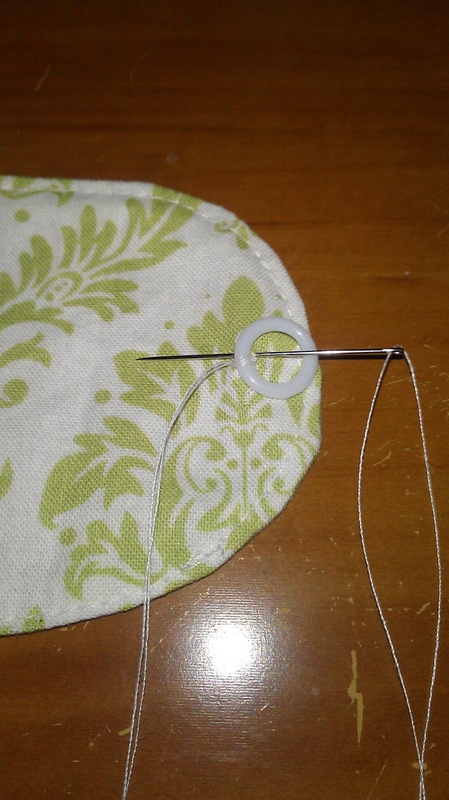 Stitch over it several times to reinforce, then tie off and snip your threads. Repeat on the other end of the tie-back. 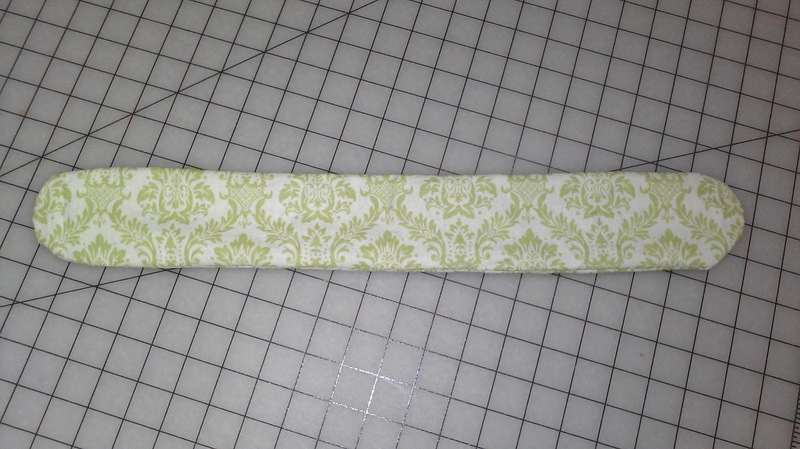 Be sure to put both rings on the same side (the back) of the tie-back! You're done with the first one! 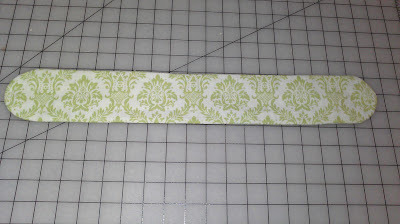 Repeat the steps to make the second tie-back, and you are ready to put them to use! 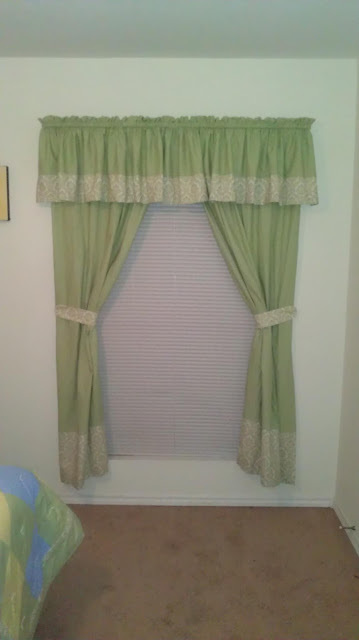 You will need a small hook in the wall on each side of your window. I got mine at a hardware store, but most craft stores will have them, as well. With the right side against the wall, put one end of the tie-back onto the hook. 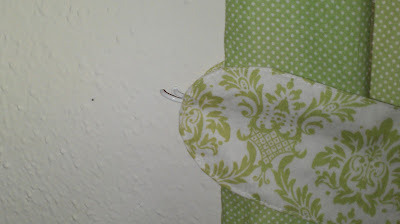 Run the free end behind and around the curtain, and then place it on the hook, as well. And just like that, you are done! A cute, easy, and cheap way to hold back your curtains!